Peoples’ Voice Cafe, a progressive coffeehouse located in the heart of Manhattan, is celebrating its 30th anniversary this month. 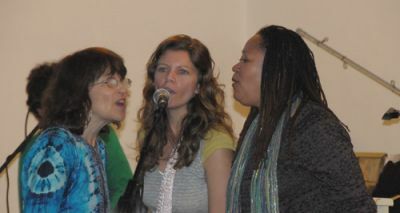 Founded in 1979, and currently housed at the Community Church of New York Unitarian Universalist at 40 East 35th Street, the cafe came out of the People’s Music Network for Songs of Freedom and Struggle, a group of musicians, songwriters and music lovers who wanted to fuse politically aware music with social justice work — and to create local music venues throughout the United States to further these efforts. “It’s really inspiring to be a part of a community that cares so much about the rights of other people,” Ray Korona, a folk music performer and long-time volunteer, said. 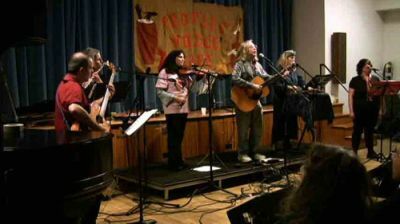 While the music scene in New York City has changed, Peoples’ Voice Cafe has remained very much the same. 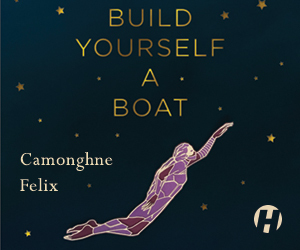 Every Saturday night, there are politically resonant — most often acoustic folk — performances. New guests are always welcome, and old guests find friends among audience members. No one is turned away for a lack of funds, and performers are paid fairly. Most important to the longevity of Peoples’ Voice, each show is staffed by a group of dedicated volunteers who are involved in everything from booking performers and publicity efforts to baking treats for sale and running the sound system. 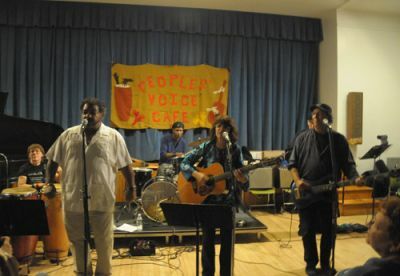 Charlie King, who has had an annual gig at Peoples’ Voice since the cafe’s early years, says that homemade political culture is at the heart of the cafe’s work. “Just like homemade cookies, homemade culture is kind of a hallmark of the cafe. When I went to coffeehouses, I knew that what they did was within my reach. When you go to extravagant shows, it doesn’t feel the same way,” said King. Exposing people to politically conscious music is a key part of the cafe’s mission. “Songs are very powerful and can affect people in ways that words and speeches can’t — they jump the fences. If it’s catchy and has a good chorus, they’ll want to know more,” Korona said. The cafe’s 30th anniversary celebration performance will take place Sept. 26 and will feature performances by Suni Paz, Charlie King and many others. 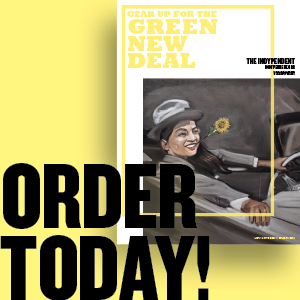 For more information, go to peoplesvoicecafe.org.